WHAT BALL IS RIGHT FOR YOU? • Ideal for stretching and warm-up exercises • Burst resistant up to 600 lbs. 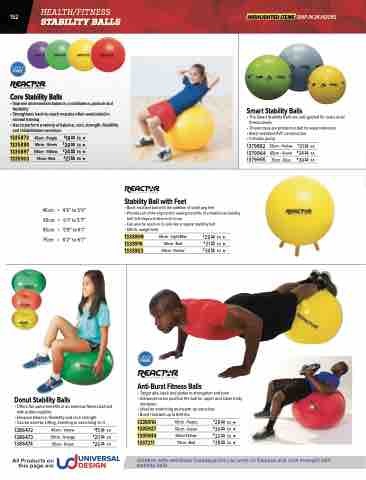 Children with vestibular inadequacies can work on balance and core strength with stability balls.